A selection of 4 citruses, including green orange, tonic and sparkling touches brought by cinchona bark and a fresh touch developed by the mad scientists of the French' without menthol or koolada. Its astonishing color is made by the vitamin B, entering the composition of the Re-Animator! Re-Animator. The juice that brings the dead back to life ! Citrus, black berries et Aloe Vera. Bubble gum and cotton candy. The Red Astaire offers a fresh mix of red berries, black grape and anise. The staple flavor of T-Juice! A subtle liquid with fruity and fresh touches. This secret formula will not leave you indifferent ! Do we still need to introduce it? 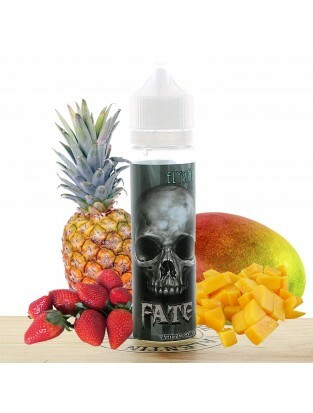 A must have for all fans of fruity e-liquids. 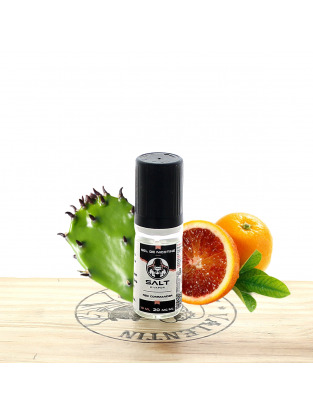 This E-lixir has the flavor of soursop juice, an exotic fruit with a deliciously sweet and fresh perfume ! America brings you what's best in terms of pop corn! 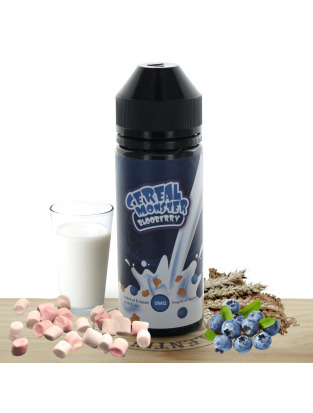 A delicious juice with a taste of freshly popped corn and topped with its smooth caramel! 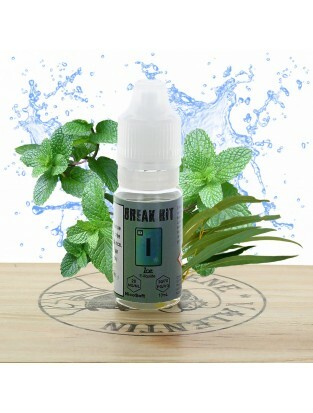 Fresh mint with fancy candy and soda notes. Red berries mainly with forest fruits, mentholated notes. Mixed taste of pineapple, citruses, coconut, melon, fresh and sweet notes. 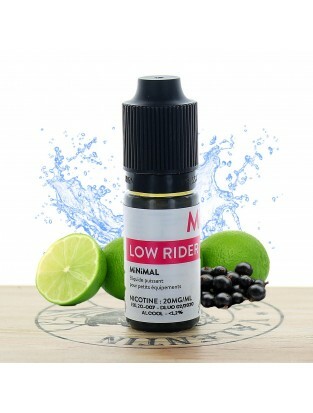 This e-liquid is a mix of grape and blackcurrant, coupled with mentholated notes. Fruity mixed, with notes of blue rasperry. The renown of Customixed isn't to be made anymore, and this juice keeps with their tradition. You will surely fall in love with this delicious mix of pie, bakery pudding and cheesecake. To be vaped as soon as possible ! (Our favorite!). The renown of Customixed isn't to be made anymore, and this juice keeps with the tradition. You will surely fall in love with this delicious little mix of Custard Pudding and Flan de Queso. To be vaped right away! The e-liquid PULP Alabama offers a very harmonious, warm and deep American blond. 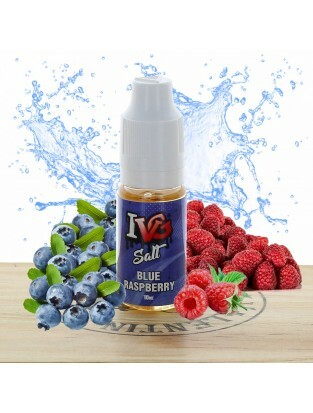 Sure value for experienced vapers, this liquid proposes a pronounced hit. 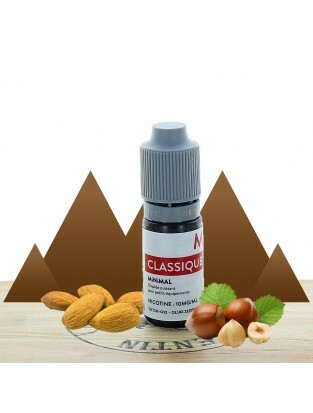 An e-liquid warmed by touches of honey from Yemen, lifeblood and nuts. Its fine and dry blond taste is followed by a pleasant flavor of black honey of Yemen with a touch of nuts and finally an elegant floral flagrance. A blond classic, robust and spicy. A classic blond, neutral and pleasant on the palate. A powerful classic blond, reinforced by touches of freshly-brewed coffee. 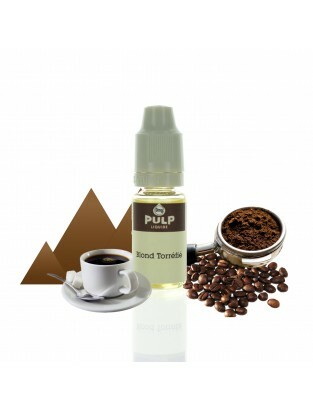 Thanks to this e-liquid you will find the pleasure of a good coffee, followed by a touch of classic blond taste. 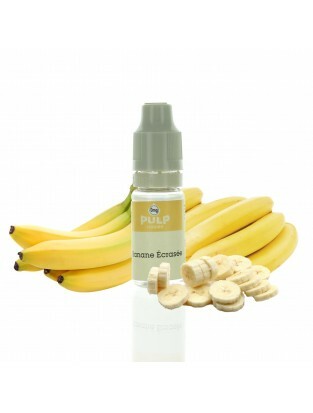 Vaping Banane Ecrasée is like enjoying a ripe banana squished with a fork... Very regressive and addictive! A full of sunlight flavorful melon, really true-to-life ! An excellent wild strawberry ! An old-fashion Chicha Apple, you will find the anised touch of the chicha. Welcome to Antartica, where a true icy cold wind is blowing. A licorice stick slithered into this chalice. A somptuous mix of licorice and anise, available in several nicotin dosages (0, 3, 6, 11, 16 mg/mL). 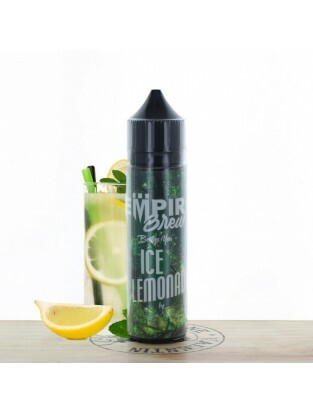 This licorice vape e-liquid is available in 10ml plastic flasks. Gourmet and creamy, this Vienato is the perfect mix of coffee, a touch of milk and its whipped cream. All of that sprinkled with chocolate chips. To amateurs of peanut butter, this Peanuts revisits your spread on a delicate pastry. Wooba is an acidulous strawberry / watermelon candy with a fresh note at the exhalation, a must-have ! A Blond classic, pleasant and neutral, a would-be all day. A typical torrid flavor that will not leave you indifferent. Caramel Classic Blond, a treat ! Powerful aroma of classic leaves from Virginia. 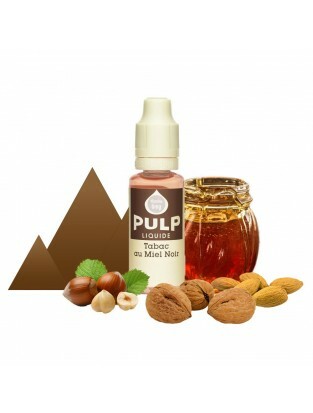 The Big Bob's Blend PULP e-liquid is a mix of classic flavors, nuts and peach. Its taste is very pleasant and untiring thanks to its fruity flagrance. A bodied blond American classic. A lemon cake enjoyed with patience, without spoon and without guilty conscience. Cake, Meringue, Lemon icing. Natural currant, lightly acid and sweet, enhanced with a touch of lemon and a very slight "fresh" note: a sunny and fruity vaping. 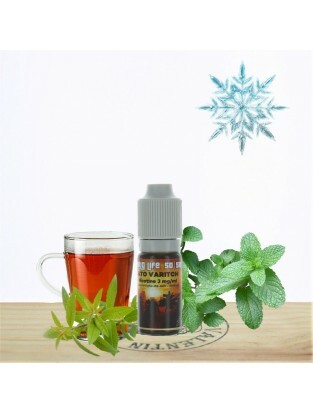 An e-liquid with wintry menthol flavors colored with touches of verbena and tea. Fine and neat, its pear-flavored recipe is creamy and has notes of vanilla and coconut. Mix of coated strawberries and slight vanilla cream. Between strawberry yogurt, roll up chewing-gum and "Skittle". A good, large grape when inspiring, followed at exhalation by a sweet and ripe apple. A perfectly balanced and flavorful melody with multiple berries on a sweet paste, coupled with a flavor of creamy and acidulous yogurt. 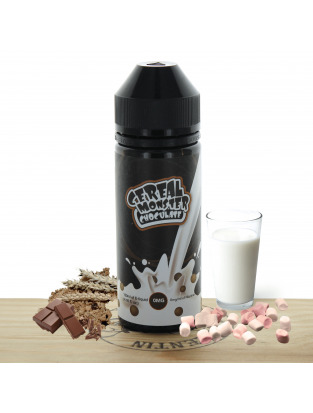 This liquid was made for gourmets ! 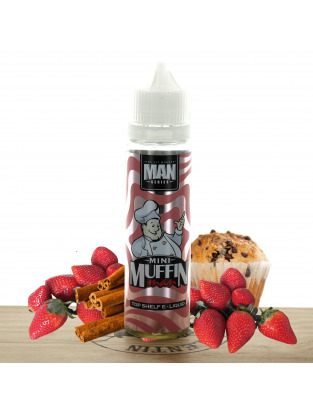 Excellent mix of hand-picked strawberries and of two vanillas... A delight ! A mix of 3 vanillas, of caramel and a bit of whisky. 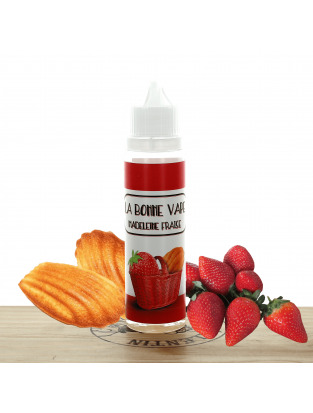 The Carnage e-liquid by Vape Institut is an assembling of strawberry, blackcurrant and exotic fruit, all of this being slightly mentholated. It's this mix that creates its flavorful taste. 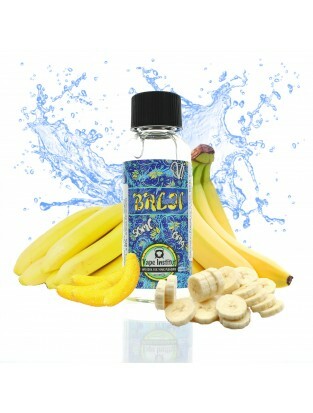 The Balji Vape Institut e-liquid is a refreshing mix of ripe banana and of banana candy. What makes it unique is its fruity and fresh perfume, followed by its powerful and delicate effect, creating a perfect harmony. Sweet mix of citrus and mint. Crazy Frost will give you a rapid rise to crystallized summits of Mount Everest. Perfect hit and guaranteed volume of vapor. A must-have ! Assembling of acidulous red berries coupled with its violet candy. Torrid custard flavor, crispy nuts and praline muslin cream. The new juice from the far north has arrived ! 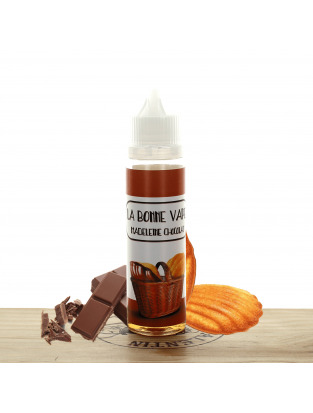 The French Liquide proposes us a high VG liquid, perfect for cold wintry evenings, the Tabarnak ! 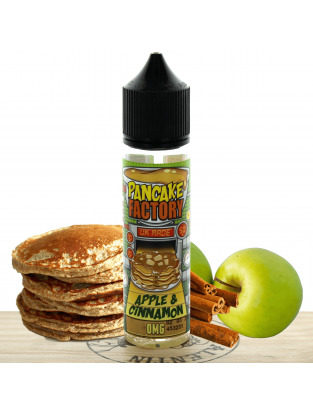 Here comes the Canadian gastronomy in your atomizers, a delicious pancake, sprinkled with a smooth maple syrup, a delight ! 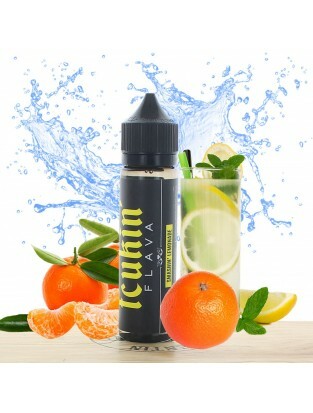 A strongly fruited flavor based on a mix of citrus, ideal for fruits amateurs, this flavor won't leave you indifferent! 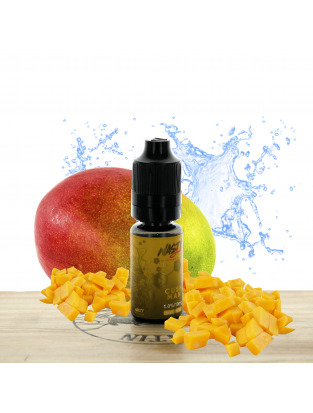 The Mango Milk e-liquid by Illuzion is considered as a gourmand liquid. 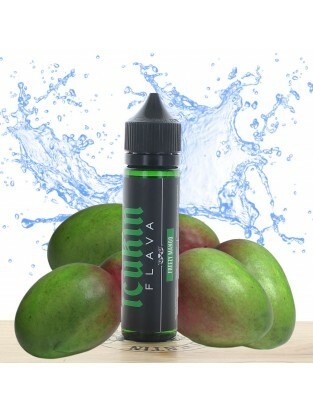 Its main taste is a somptuous mango with a touch of cream, creating a light mix of flavor, particularly sweet and pleasant. The Gourou e-liquid by Vape Institute is essentially base on 4 flavors, namely a tasteful vanilla, petals popped corn, a slight touch of marshmallow, all of that on an absolutely fabulous caramel bed. 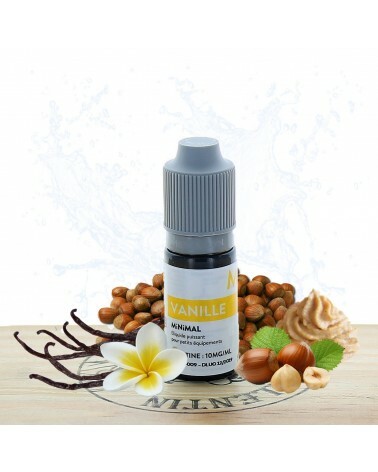 Vanilla and caramel cleverly and evenly mix... With a few spotted nuts to come up with a delicious complex concentrate ! Feeling good watching a nice movie! 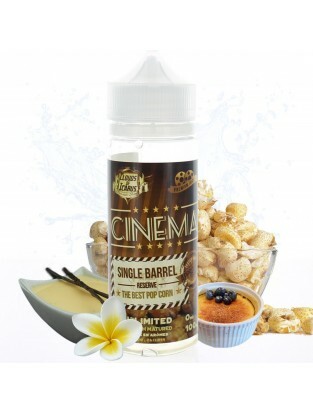 The taste of the "Cinéma" is between pop-corn and custard, with a touch of crème brûlée : very tasteful with creamy flavors of vanilla. The Strawberry e-liquid by Yogi is a gourmand that has the taste of a somptuous cereal bar along with strawberries and a delicious honey topping. 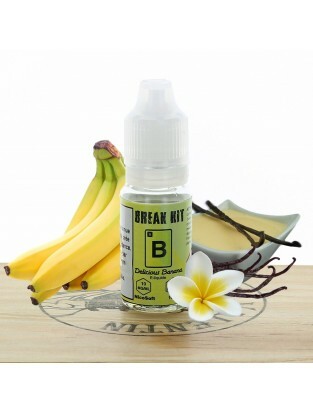 The Peanut Butter Banana e-liquid by Yogi is a mix of tasteful flavours. 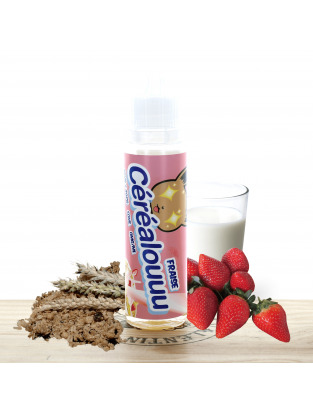 It mixes banana, peanut butter and honey on a cereal bar. The Original e-liquid by Yogi is a somptuous granola along with oat and wheat flakes, dry fruits and a touch of honey. 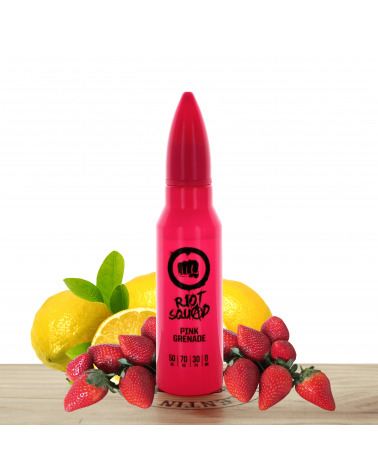 The Bang Bang e-liquid by Vape Institut is a delicious strawberry Milk Shake. The Blueberry e-liquid by Yogi is a tasteful mix of blueberries and sweet honey on a cereal bar. Soft and gourmand. On a base of creamy caramel, a soft noteof pralin to recreate the taste of a famous candy. Perfectly adapted to high-temperature vaping, this joyful recipe will surprize you by its roundness and its capacity to change throughout the day accoridng to the vaping conditions. Your drippers had better watch out. The Low Rider has come and it's hot-tempered. 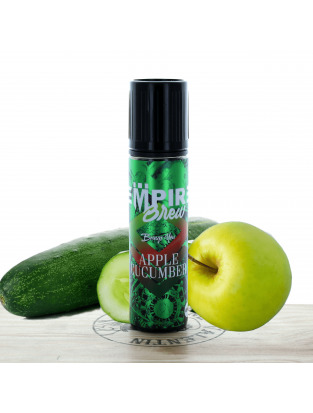 Fresh, sweet and lightly lemoned, it enables an all-in-roundness vaping thanks to notes of subtle forest fruits. A delicious mix of a mango coupled with a peach. The description is in the name: a very successful Margarita flavor. The sweet and creamy, rich and decadent flavor of this Italian delight is perfectly spotlighted. Try it with an espresso and travel to Sicilly! 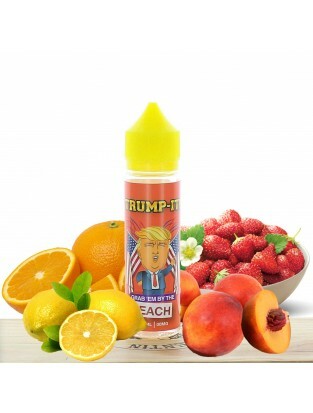 The e-liquid Grab'em by the Peach by TRUMP IT has a taste of peach, orange, lemon and strawberry ! The perfect mix of fruits on the palate. 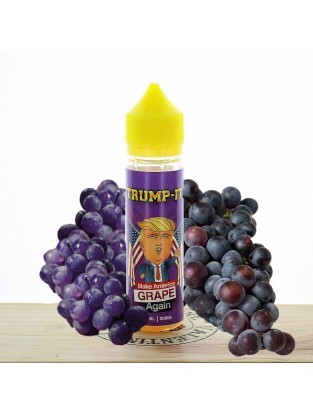 The e-liquid Make America Grape Again by TRUMP IT has a delicious and fruity taste of grape. The Don Cristo e-liquid has the delicious taste of a Cuban classic. A beautiful flavor of Cuban classic that benefited from a 90-day steep ! The Don Cristo won several prizes in the Classic category in 2016 and 2017, in England and in France. 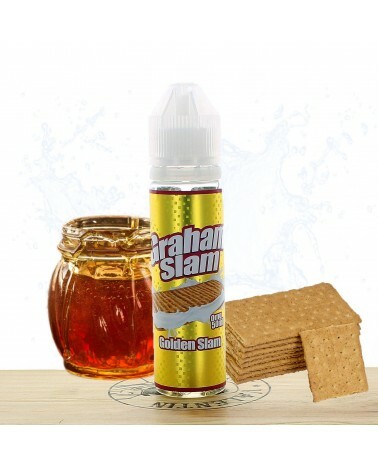 This e-liquid has the delicious taste of a crunchy Belgian biscuit, combined with a flavorful peanut butter paste. 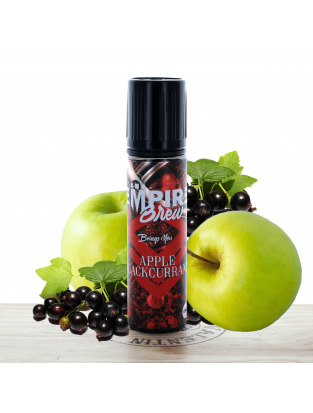 This e-liquid has the somptuous taste of juicy apples, combined with cranberries giving a slightly acidulous flavor. 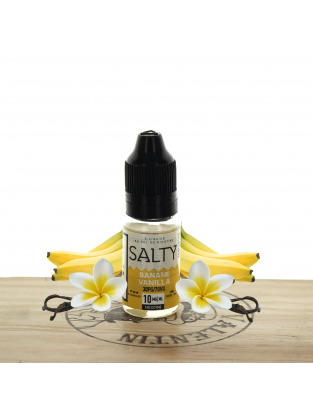 This e-liquid has the delicious taste of a sanded paste with slightly acidulous and sweet lemon. 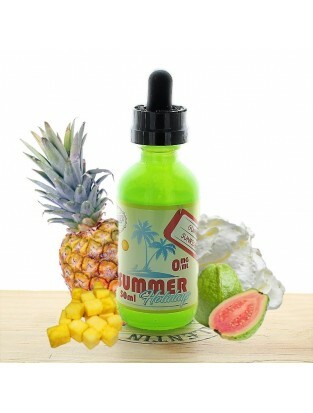 This e-liquid has the delicious taste of a milkshake mixed with fresh melon. This mix is very smooth and coupled with a note of honey, a true delight ! 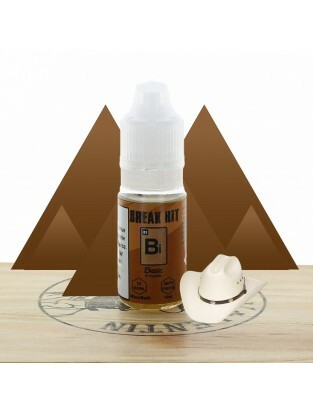 This e-liquid has a somptuous taste of molten chocolate cake, coupled with a delicious marshmallow and a slight touch of biscuit. 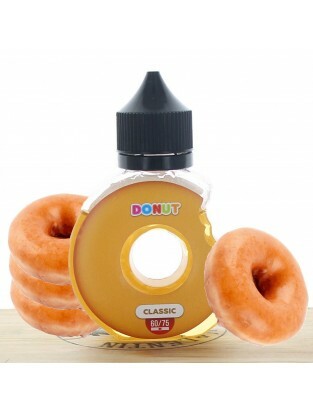 This e-liquid has the delicious taste of a sweet donut with a strawberry jelly. Discover a taste of mentholated candy that releases a heart of freshness ! 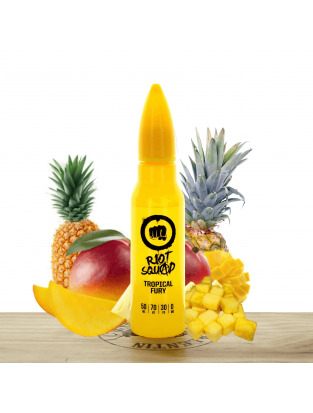 Taste this fresh and fruity e-liquid with mango and pineapple aromas! 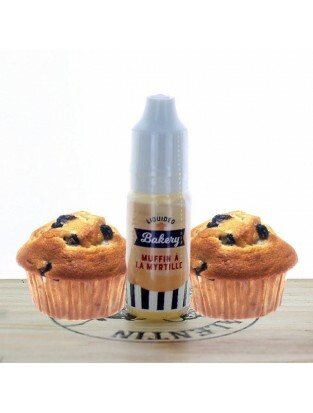 Discover this e-liquid with a sweet taste of blueberry muffin, from the Liquideo Pâtisserie range ! 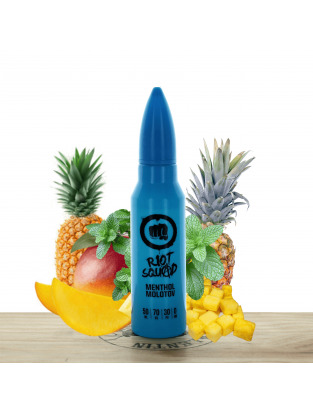 This e-liquid has the sweet and fresh taste of a fruit cocktail with watermelon and coconut. 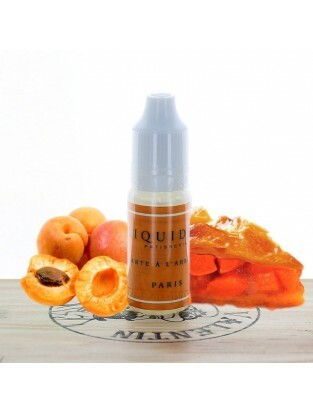 This e-liquid by the Liquideo Pâtisserie range will take you back to childhood thanks to its taste of apricot pie ! 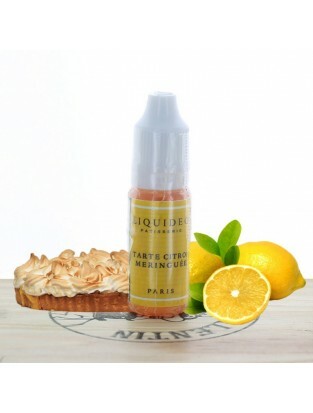 This e-liquid of the Liquideo Pâtisserie range will take you back to childhood thanks to its taste of lemon meringue pie ! Enjoy this delicious mix of red berries, liquorice mint and eucalyptus. Freshness and flavor are there ! 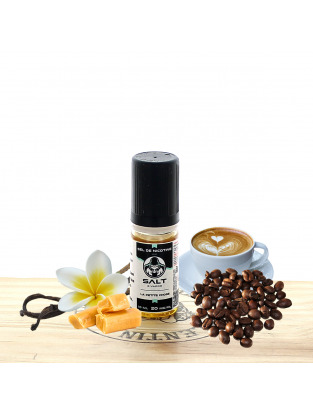 The Peanuts Feevr e-liquid is a delicious peanut butter laid on a pastry. The Wooba Feevr e-liquid is a delicious mix of candy, strawberry and watermelon! The perfect mix for summer. 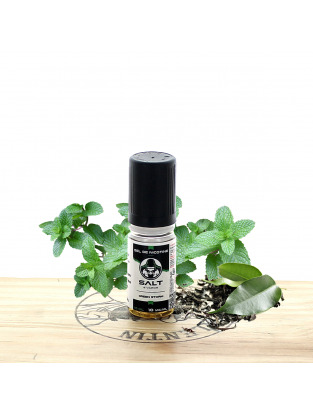 The Havano Feevr e-liquid is a delicious vanilla Cuban classic. 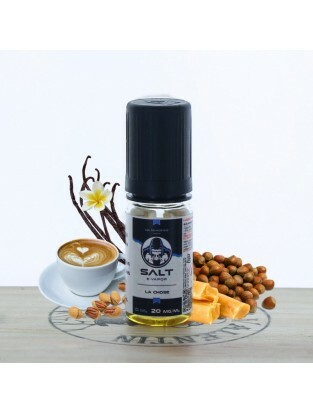 The e-liquid La Chose is a flavorful mix of salted butter caramel, roasted nuts, vanilla coffee and pecan nuts with salts of nicotin. 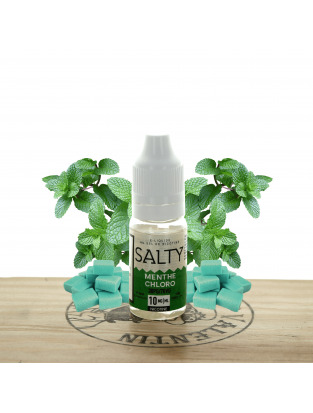 The Ice Mint e-liquid has a powerful taste of mint leaves with salts of nicotin. 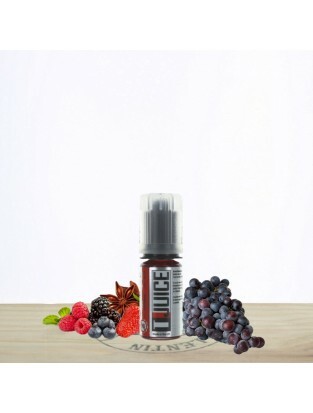 The Fruits Rouges e-liquid has a delicious taste of red berries, both sweet and acidulous with salts of nicotin. 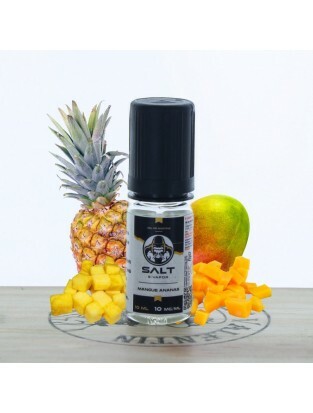 This mango and pineapple e-liquid with salts of nicotin is all simply delicious. 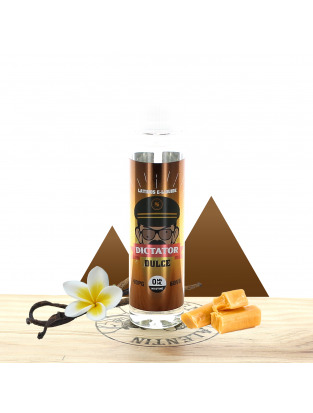 This USA Classic e-liquid has a delicious flavor of Classic Blond with salts of nicotin. 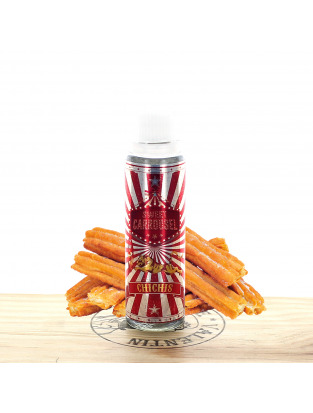 This USA Strong e-liquid has the delicious taste of American Classic blond, spiced with salts of nicotin. 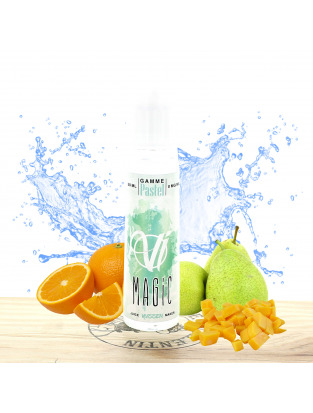 This e-liquid is a flavorful mix of juicy apples and somewhat acidulous cranberries. All of this coupled with a bit of koolada which will bring you the perfect touch of freshness. 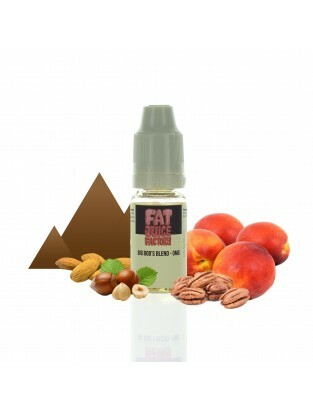 The Madeleine Pistacchio e-liquid is a delicious, soft and really true-to-life "madeleine", very tasteful and with a touch of pistachio, utterly sumptuous. Le e-liquide Bloody summer de Eliquid France a un goût particulier de bonbon aux fruits rouges avec quelques notes de cassis et de raisin. 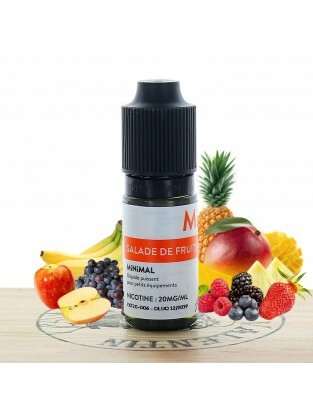 Ce e-liquide fruité possède un mélange de saveurs exquises. 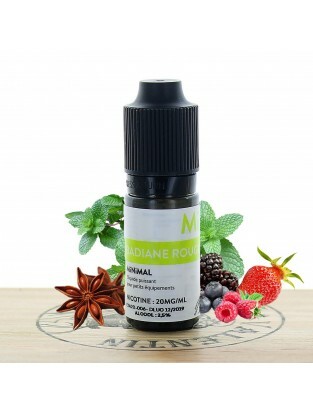 Liquide en 0mg/ml, pensez aux boosters aromatisés associés. 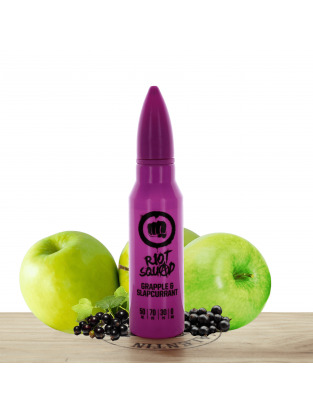 An irresistible and fresh duo between a juicy mango mixed with an explosive and intense blackcurrant. A lemonade with an undeniable power of refreshment and relaxation. A freshly picked blackcurrant, served on a bed of crushed ice. 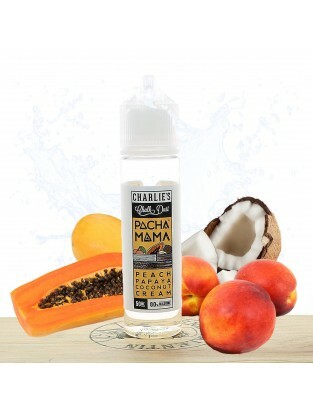 An audacious mango / lychee mix with, at the end the vaping, the Malaysian freshness. 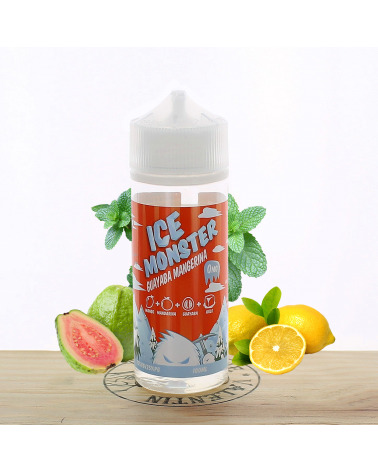 If you're looking for lemoned mint with a genuine taste, of high quality and with citruses, don't look further than Mangerine Goyave by Ice Monster. 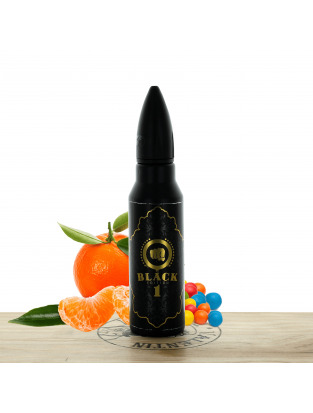 The Blackbull e-liquid represents the superhero you all know, with a flavor of juicy and fresh mango. 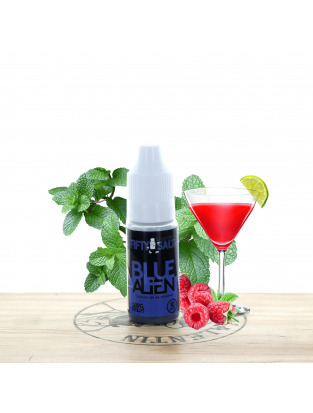 This e-liquid is a delicious frozen cocktail with blackcurrant and orange. It's both fresh and fruity, a real delight! 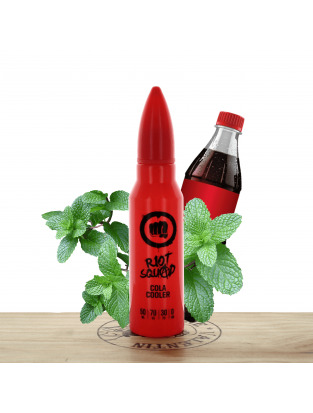 This e-liquid is a sumptuous mix of cola and fresh lemon! This wedding of flavors is a real delight. 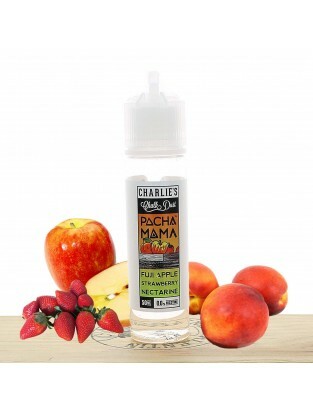 This e-liquid is a flavorful mix of guava and pineapple coupled with a creamy texture. 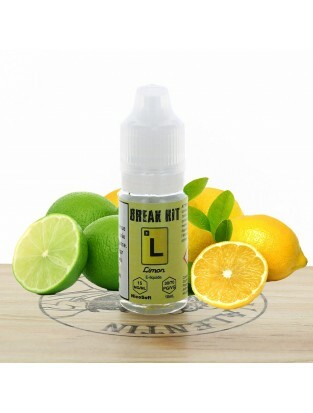 This e-liquid is a delicious fresh lemonade, coupled with strawberries. A delicious mix for summer! 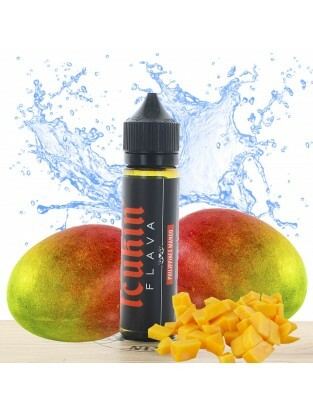 This e-liquid with an intense taste of fresh mango is a real gustatory pleasure ! 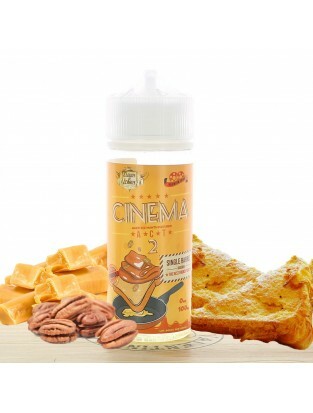 This e-liquid is a tasteful mix of caramelized pop corn with custard cereals, all of that coated with a vanilla custard cream. 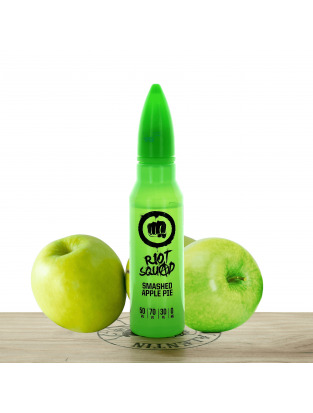 This e-liquid is a perfect mix of caramelized apple on a crunchy paste, combined with cinnamon. 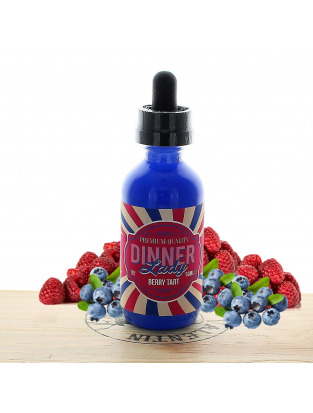 This e-liquid is an excellent both acidulous and sweet mix of raspberries and blueberries. All of this coupled with a crunchy paste. 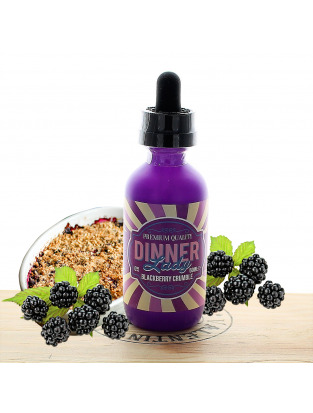 This e-liquid is a sumptuous butter crumble coupled with delicious blackberries. A gourmand delight. 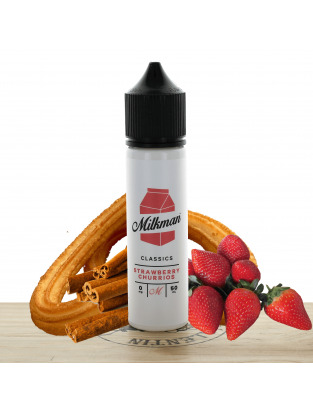 This e-liquid has the flavor of sweet strawberries, coated with a delicious custard cream. 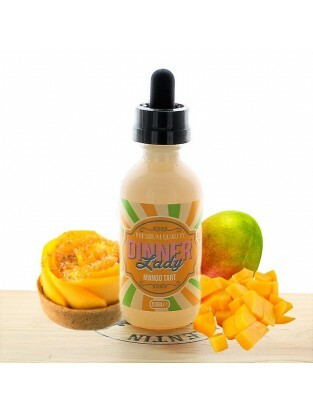 This e-liquid has a flavor of mango on an excellent crust pastry. If a you have a sudden desire for originality, then Hyprtonic has a fabulous recipe for you. The White Nectar liquid is a very subtle mix of Peanut Butter and Salted Butter. This combination of sweet and salted offers a unique, but truly bewitching experience. Let your palate enjoy this unctuous preparation with multiple flavors. 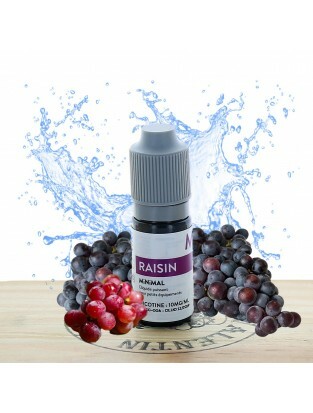 The Raisin Minimal e-liquid by The Fuu is a delicious bunch of black grapes, juicy and sweet! 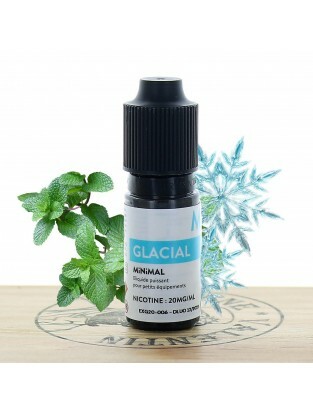 It's made of salts of nicotine, which has the advantage of enabling a vaping with a higher rate of nicotine without the discomfort in the throat. 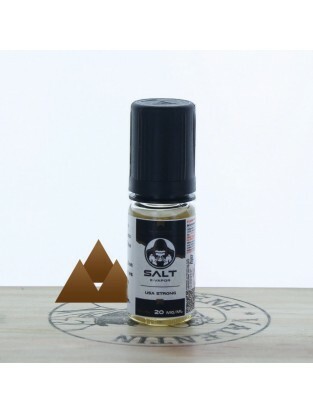 It's recommended not to go below 1ohm in resistance's value, to enjoy an optimal efficiency of the salts of nicotine. 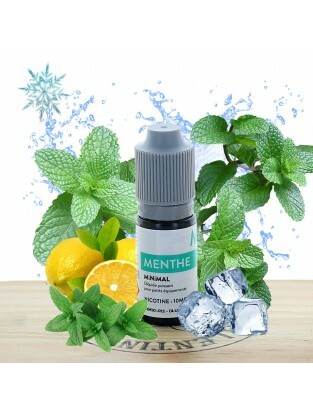 The Menthe Minimal e-liquid by The Fuu is a delicious and perfectly balanced mint! 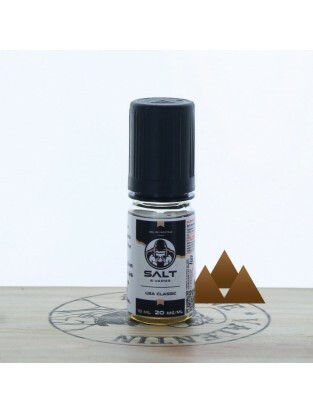 It's made of salts of nicotine, which has the advantage of enabling a vaping with a higher rate of nicotine without the discomfort in the throat. 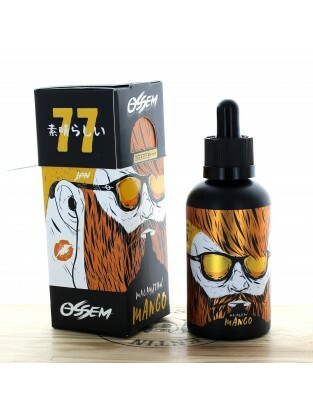 It's recommended not to go below 1ohm in resistance's value, to enjoy an optimal efficiency of the salts of nicotine. 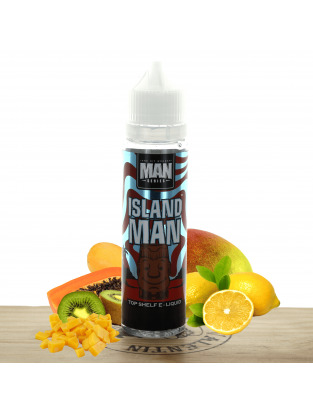 Pineapple, guava, mango... in two puffs, the Mangabeys takes you to a tropical beach ! A mix of strawberry, watermelon and kiwi, the Kanzi will please amateurs of candy-tasting vaping. A delicious mix of French macarons and of almonds, with a raspberry filling. A nice big grape at inhalation, followed at exhalation by a sweet and ripe apple. 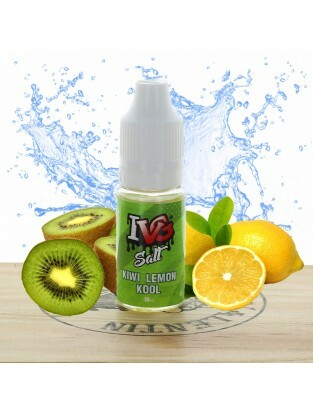 An intense and acid mix of lemon, lime, grapefruit, blood orange and guava, it will delight your taste buds ! 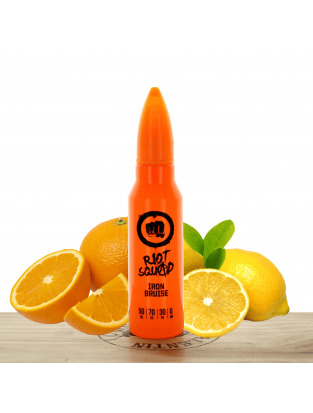 This e-liquid is a sumptuous sweet paste, coupled with a crispy biscuit, all of that flavored with a zest of creamy orange. A wonderful Wedding Cake with a pineapple taste combining the sweetness of the vanilla cream (the Nilla), paired with flavourful slices of pineapple, at once sweet and juicy. The Ragnarok concentrate is a delicious mix of ice-cold red berries. Composed of strawberries, blackberries, raspberries and blueberries, some somptuous flavours for your taste buds. 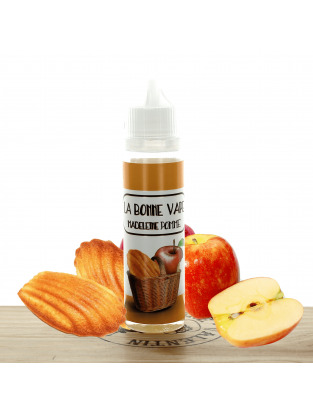 The Famous Premium e-liquid by Eliquid France tastes like a classic blond, flavored with a vanilla deliciously coupled with smooth flavor of cookie. 0mg/ml liquid, don't forget the associated flavored boosters. The Relax Premium e-liquid by Eliquid France is a Classic Gourmand coupled with a taste of vanilla-flavored cookie and then a note of coffee. This flavorful mix will delight your taste buds. 0mg/ml liquid, don't forget the associated flavored boosters. 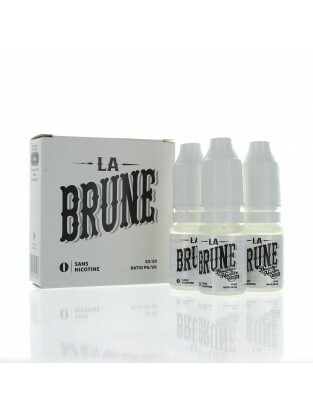 The Suprême e-liquid by Eliquid France is a flavorful mix of Classic Blond and of tasteful notes. It's made of cookie, vanilla, and of a slight touch of coconut. 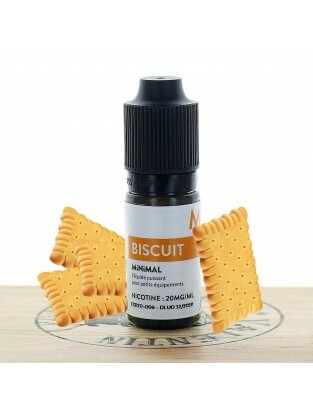 0mg/ml liquid, don't forget the associated flavored boosters. 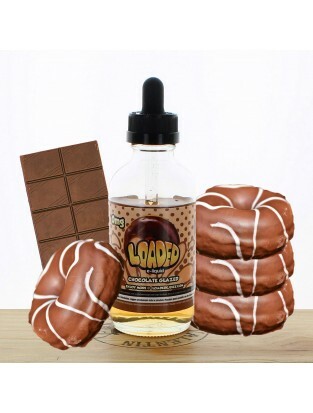 This e-liquid has the delicious taste of a soft donut, coated with a sugar icing, a true delight ! The Corsaire e-liquid is a delicious Classic, with touches of praline and a slight note of caramel with a bit of honey. A true delight ! 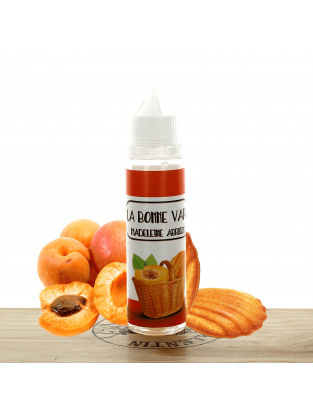 The Madeleine citron e-liquid is a delicious soft madeleine coupled with a slight touch of lemon. A true delight.